T-23 Volunteer Maine Militia-(large is Cartridge box plate) & T-24 Volunteer Maine Militia Belt Plate-(small is buckle). 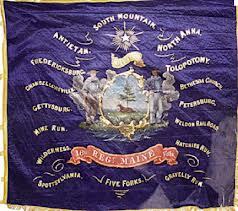 Both originals were found on the Fair Oaks, Va. battlefield. 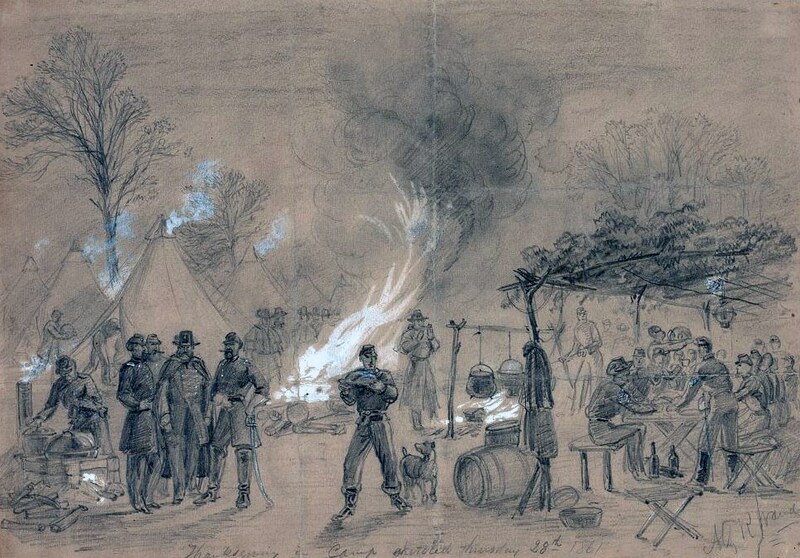 Union Campsite. 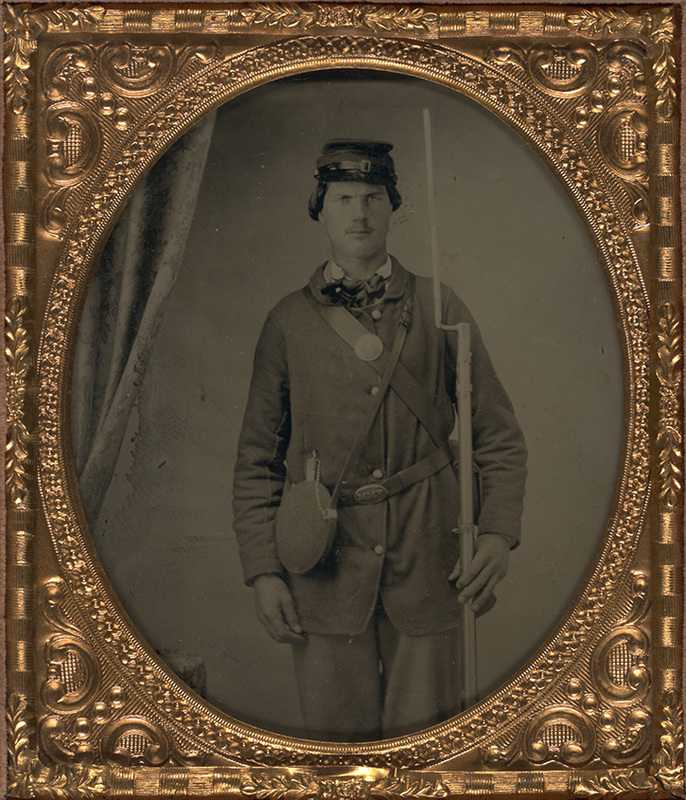 These Union soldiers would leave a lot of plates and relics when they left camp. This is how we dig the state buttons and buckles. Unreal relic hunting in the early days. 1960's reproduction VMM (Large Oval). Made as a buckle. The original large oval was always a cartridge box plate. 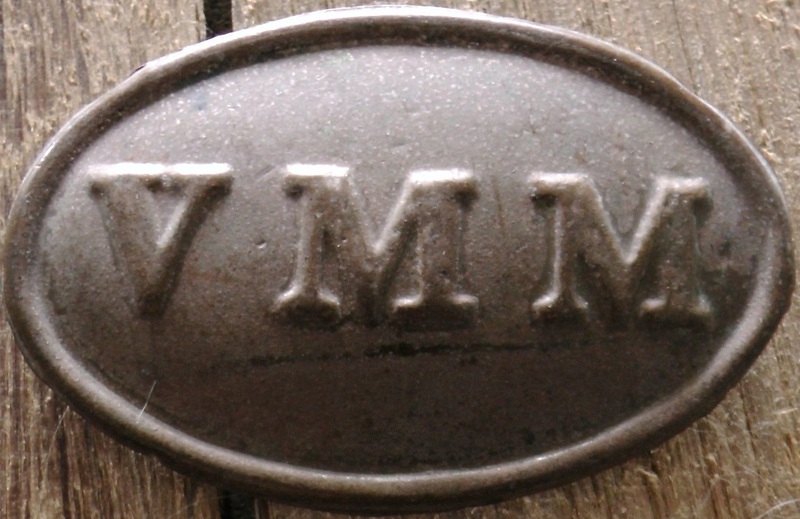 The VMM buckle or belt plate was always a small oval. Original large oval 1861 VMM cartridge box plate with the correct backing. The large oval VMM was never a buckle or belt plate always a cartridge box plate. 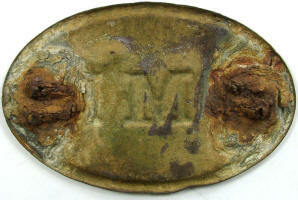 Original battlefield dug VMM buckle or belt plate. Small in size and the correct lead back. The buckle was always a small oval.